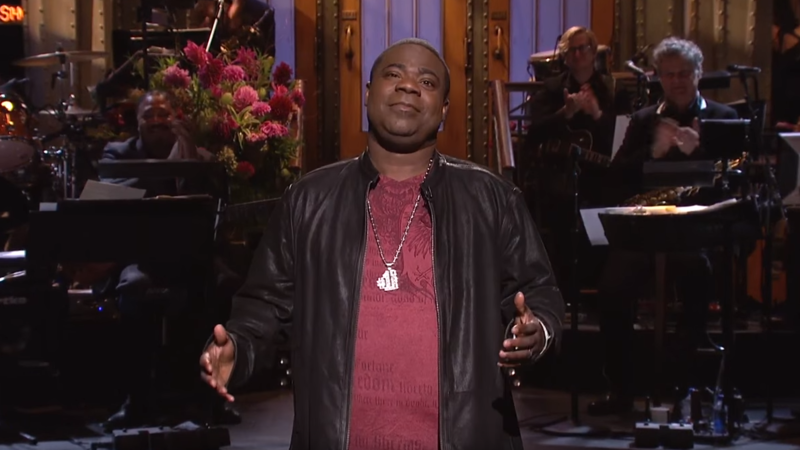 Comedian Tracy Morgan gives his opening monologue on Saturday Night Live. It was the comedian's first major return to television after being seriously injured in an accident 16 months ago. 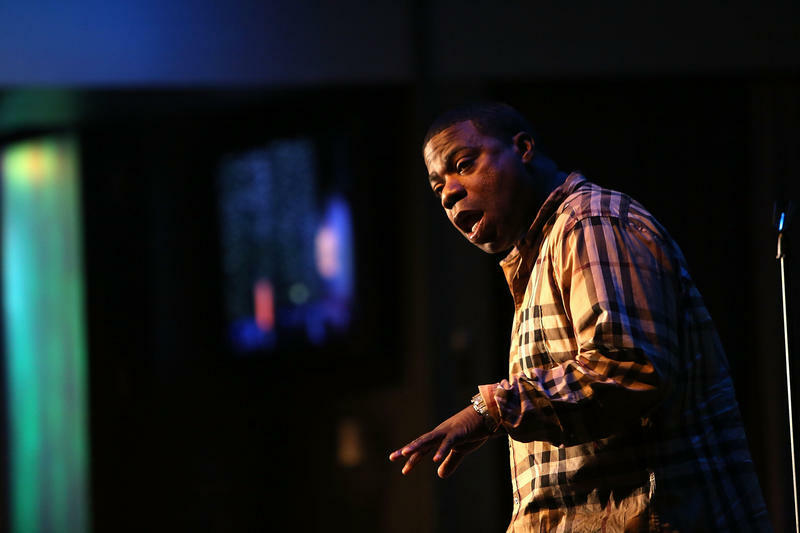 Tracy Morgan made his return to comedy official Saturday as he returned to host Saturday Night Live, some 16 months after being seriously injured in a deadly car crash. "I'm back. It feels so good to be here. You may have seen on the news I was in a terrible car accident a year ago. It was awful. But it also showed me how much love and support I have in this world," Morgan said during the show. The comic, in his first extended television appearance since the accident, even made light of the incident in the show's opening monologue saying that people were wondering if he regained full mental sharpness after the crash on the New Jersey Turnpike. "People were wondering, 'Can he speak? Does he have 100-percent mental capacity?' But the truth is I never did. I may even be a few [IQ ] points higher now." In one sketch Morgan was reunited with his 30 Rock co-stars Alec Baldwin, Tina Fey, Jane Krakowski and Jack McBrayer. Morgan also brought back two of his familiar Saturday Night Live characters Brian Fellow, an animal expert and Astronaut Jones. In June 2014, a Wal-Mart truck going 20 mph over the speed limit in New Jersey rear-ended the limo van carrying Morgan and his party. The crash killed Morgan's friend, fellow comedian known as "Jimmy Mack," and injured four other passengers, including Morgan. As the Two-Way reported, Morgan settled his lawsuit with Wal-Mart in May. Another familiar face to SNL made a return appearance Saturday. Larry David was in what is likely the show's most memorable sketch, a mock of last week's CNN Democratic presidential debate. David impersonated Vermont Sen. Bernie Sanders. Tracy Morgan, the former Saturday Night Live and 30 Rock star, was injured in a six-car accident early on Saturday, Sgt. Gregory Williams of the New Jersey State Police says. The accident, Williams said, happened at about 1 a.m. ET., near Trenton. CNN reports Morgan is in "critical" condition, while USA Today reports the actor and comedian is in "intensive care." 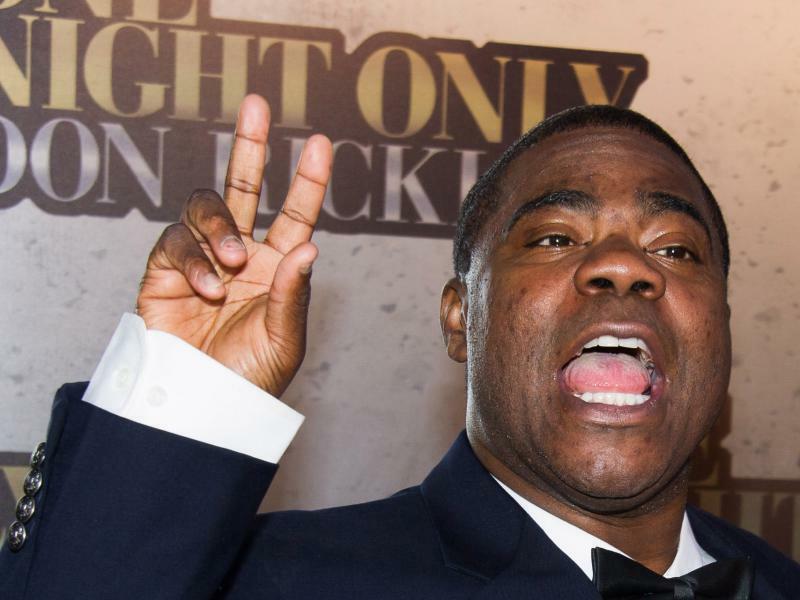 The driver of a semitrailer that hit a limousine carrying comedian Tracy Morgan, seriously injuring him and killing a fellow passenger, was speeding moments before the crash, the National Transportation Safety Board says in a preliminary report. NTSB says Wal-Mart driver Kevin Roper was going 65 mph in a 45 mph construction zone just before the June 7 crash on the New Jersey Turnpike. The crash killed 62-year-old James McNair of Peekskill, N.Y.